Life & Beyond : WHAT MAKES COMBINATION OF GANGA AND VARANASI SO SPECIAL? 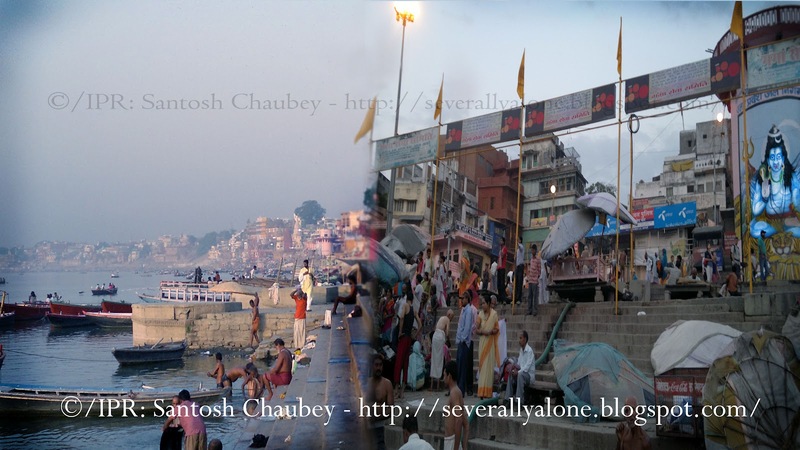 WHAT MAKES COMBINATION OF GANGA AND VARANASI SO SPECIAL? Ganga symbolizes eternal flow. Its religious sanctity owes more to its spiritual halo. Ganga is probably the only river in the history of human existence that commands spiritual aesthetics, right from its origin in the Himalayan Mountains (the Gangotri glacier) to its final destination in the Bay of Bengal. From Kedarnath to Ganga Sagar, if Ganga is a sustainability factor for millions of lives and evergreen religious business activities, it is also precursor to a mystical tradition of spirituality. The major religious Ganga cities, i.e., Haridwar, Allahabad, Varanasi, Mirzapur, and Kolkata, have elements of spirituality associated with the religious significance of Ganga but the spiritual halo gets its full radiance only in Varanasi, the city of illumination, as one of its ancient etymological terms, Kasa, says. What imparts its ritualistic religiosity such a brilliant spiritual discourse? Varanasi is as much the city of Ganga as it is synonymous with Lord Shiva, one of the three supreme Hindu deities (the trinity of Brahma, Vishnu and Mahesh). Shiva creates. Shiva destroys. Shiva is a yogi and lives a life of sage at Mount Kailash, Hindu scriptures say. Shiva brought Ganga to the Earth. And Shiva is the other name of supreme spirituality in the Hindu tradition and mythology. Varanasi is among the oldest continually inhabited places and its association with Shiva and Shiva’s association with Ganga was always the magnate to ensure generations of civilizations to continue. Ritualistic religion is always susceptible to changes and attacks by time-oriented generational transformations leading to the elimination of many overtly religious centers. But association of Lord Shiva with Varanasi has given the city a continued spiritual pedigree, and this, in combination with the ‘ablution and salvation’ aspect of Ganga, has helped the ritualistic side of religion, too, to survive and thus the city. Also, the sustained spiritual quotient has helped the cultural tradition of the city assimilate the changes and get along with what the transforming moments ask for. One basic aspect of life in Varanasi is the discourse on death. Death is something that makes one free of all bonds, a point where materialism goes into oblivion, even for a moment. It evokes spiritual vibes naturally then. Varanasi has seen generations built around this tradition. The city has been flowing the way history has been written but has been able to sustain the course of spiritual discourse that pertains to the questions of life, ways of living and ethos of existentialism. Like Hindu scriptures and mythology (or like in any other religion), there have been good and bad aspects; positive and negative elements, and life flows on in the spiritual capital of the world. Lord Shiva and Ganga make the ‘Spiritual Trinity’ complete with Varanasi.